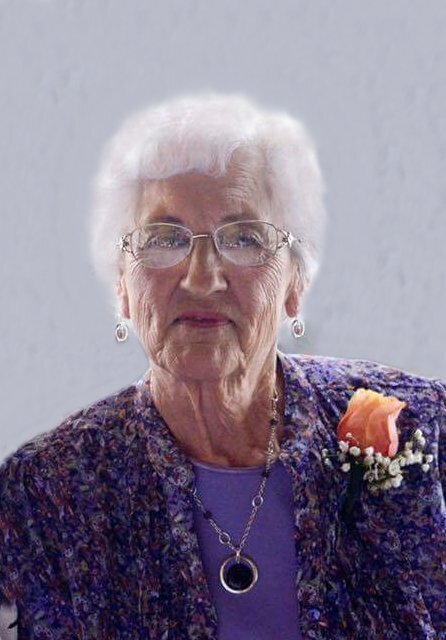 Obituary for Ada "Toots" Ella Turley | McCombs Funeral Home Inc.
Ada Ella “Toots” Turley, age 90, of Jackson passed away Tuesday, September 4, 2018 at Southeast Hospital in Cape Girardeau. She was born December 11, 1927, in Bonne Terre, Missouri, daughter of Carl D. and Ada E. Cook Thomasson. She and Robert E. Turley were married April 11, 1946. He passed away January 25, 2009. Toots grew up in St. Francois County, Missouri and graduated from Desloge High School in Desloge, Missouri. She and Bob moved to Jackson in 1958 where they co-owned and operated Turley’s Drive-in Cleaners. She worked in the radiology department at Southeast Hospital; she thoroughly enjoyed the job and co-workers. Toots was a charter member of LaCroix United Methodist Church in Cape Girardeau. Loving survivors include two sons, Vernon (Letti) Turley of Barnhart, Missouri and Wayne (Karen) Turley of Jackson; four grandchildren, Shannon (Nathan) Hughey, Sara (Zac) Roe, Nathan (Alisha) Turley and McKenzie (Joe) Walter; eight great-grandchildren and a brother, Carl Joe (Marion) Thomasson of Bartlesville, Oklahoma. She was preceded in death by her parents, her husband and 13 siblings. The visitation will be from 10 a.m. until service time on Saturday, September 8, 2018 at the chapel of McCombs Funeral Home and Cremation Center in Jackson. The funeral service will be at noon on Saturday at the funeral home, with the Rev. Ron Watts officiating. Interment will be in Russell Heights Cemetery in Jackson. The family suggests that contributions be made to LaCroix United Methodist Church in Cape Girardeau.